سواءً كنت مسافراً بغرض السياحة أو العمل, Bay Villas Resort هو خيار عظيم للإقامة خلال زيارتك بورت دوجلاس. يقع مركز المدينة المثير على بعد 0.6 km فقط. بالنسبة لمن يريد الخروج، هذه بعض المعالم السياحية المتوفرة للزوار Funstuff by Lynda, اكوموديشن بور دوجلاس, Whileaway. إن الخدمات التي يقدمها Bay Villas Resort تضمن للنزلاء إقامة مريحة. يمكن الاستمتاع بمجموعة من الخدمات على أعلى المستويات في الفندق كمثل واي فاي مجاني في جميع الغرف, تخزين الأمتعة, واي فاي في المناطق العامة, صف السيارات, التوصيل من وإلى المطار. تنعكس أجواء Bay Villas Resort في غرف الضيوف.تلفزيون بشاشة مسطحة, اتصال لاسلكي بالإنترنت, اتصال لاسلكي بشبكة الإنترنت (مجاني), غرف لغير المدخنين, مكيف هواء هي بعض الميزات الموجود في العديد من الغرف. إن مركز للياقة البدنية, مسار جولف - ضمن 3 كم, حمام سباحة خارجي, غوص, صيد السمك هو المكان الأمثل في الفندق للاسترخاء وتفريغ طاقتك بعد نهار طويل. يشكل Bay Villas Resort بخدماته الراقية وموقعه الممتاز، قاعدة مثالية للاستمتاع بإقامتك في بورت دوجلاس. Staff couldn't have been more helpful. Amazing location and facilities -staff even loaned our kids snorkels to practise for the GBR in the pool. Clean and fully self contained -even a washing machine, comfy beds. Only feedback is the fans a little squeaky but I'm sure this is something that will be fixed after this review as they seem to maintain everything very well. Right next to the beach. Perfect location. We were given a garage remote that was not working the first night so husband had to walk out to purchase food. Otherwise, loved the stay! Great location. Staff were really helpful when we wanted to book up some trips and activities, and booked them for us. We stayed 2 bedroom apartment. It was great location just 10-15mins walking distance from the main restaurants street. 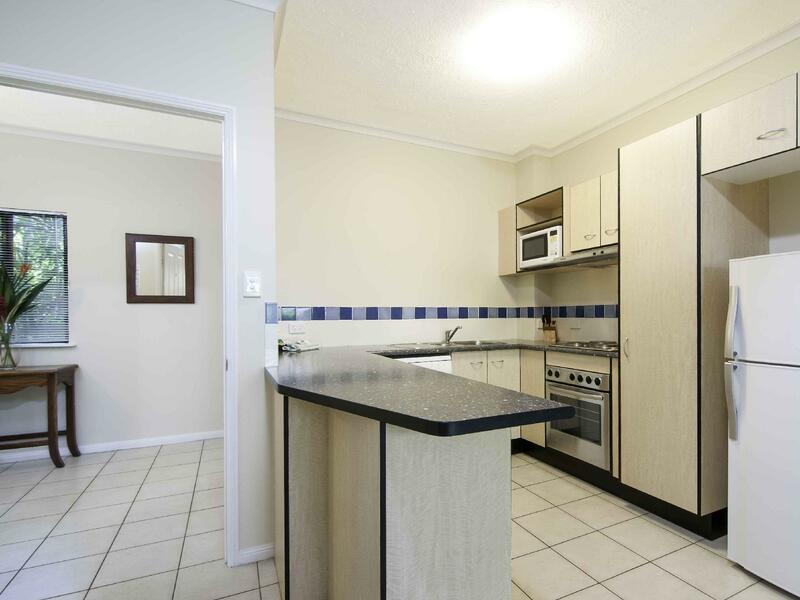 Great kitchen with dishwasher, washing machine & dryer . 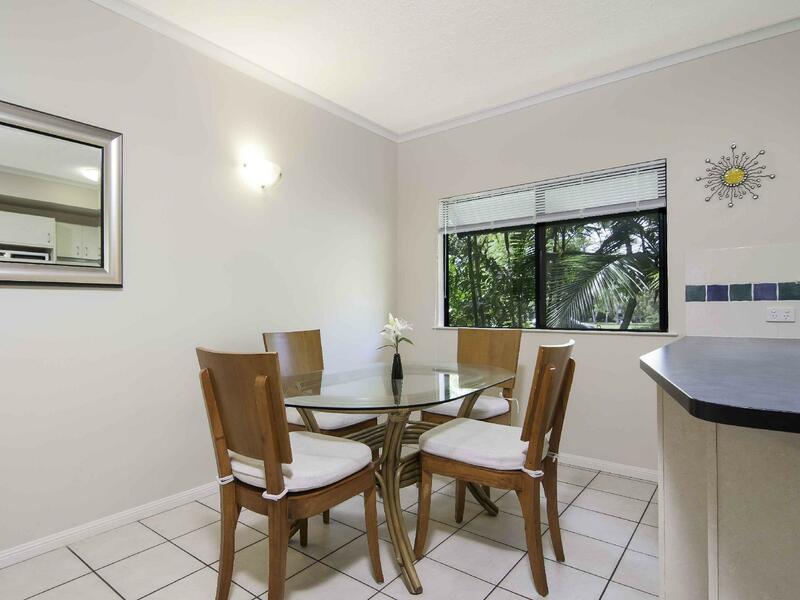 Really nice apartments within walking distance to the beach and marina. 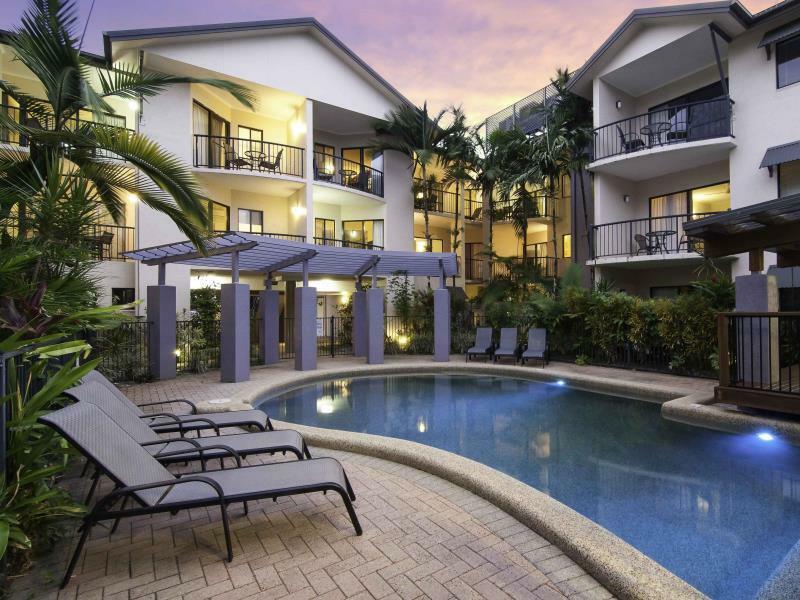 The owners of this resort of villas care with very much love in detail about there offerings in walking distance (500 metres) to Port Douglas main street. You find clean barbecue areas for everyone in the middle of the resort. 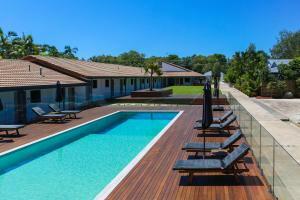 The villas offer lots of space with individual equipment per appartment. Close to everything, lovely staff. Great staff and walking distance from everything, perfect! Staff are trained to help with sightseeing, tours and other activities. Staff were very helpful, friendly and hospitable. Nice to have laundry facilities inclusive in the rate. As a couple, not ideal at school holidays !! Excellent place to stay we really enjoyed our holiday. I thought my room with kitchenette and first floor balcony was great. My only niggle was the sliding door to the bathroom next to the bed - not very private noise-wise if I'd been staying with my husband, but minor issue. Glad I only had to lug my suitcase up one flight of stairs and not two, but stairs seem to be a fairly common feature of properties I've stayed at in Cairns and Port Douglas in the past. My balcony looked out over Davidson Street in front, and not over the pool area, but I think I preferred that - seemed a little more private. Undercover en-site parking could be tight with a large vehicle. I would definitely stay at Bay Villas Resort again. 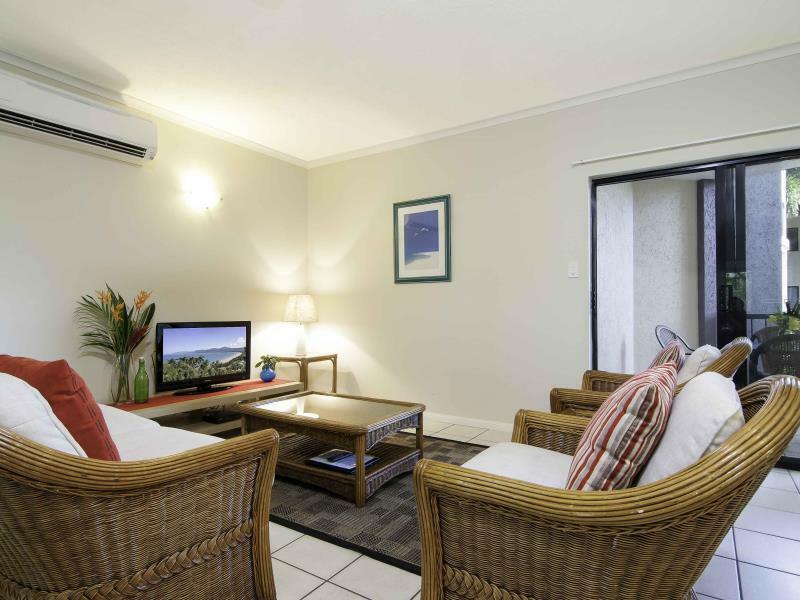 Proximity to shops, restaurants and beach a nice ten minute walk away. Staff there are some of the most friendliest we've come across. The locations is just right - not to far from the centre of port (about 10 mins walk) but far enough away from noise. Air con, fan, kitchenette were great. We stayed four nights but we're not offered extra towels ($5 each; beach towels $3) which were a bit of an inconvenience but were given one by a staff member. Beds are not made unless you stay min. 6 nights which seems standard across 3-4 ish star hotels in the area. But probably the most annoying aspect is that the walls are wafer-thin so you hear every time someone turns on the tap, shower or flushes. We had some early birds next to us who were showering/flushing at 5am every day of our stay. Either there needs to be some sound proofing or the plumbing needs fixing. After some fun and long days, a good night sleep would've been great. 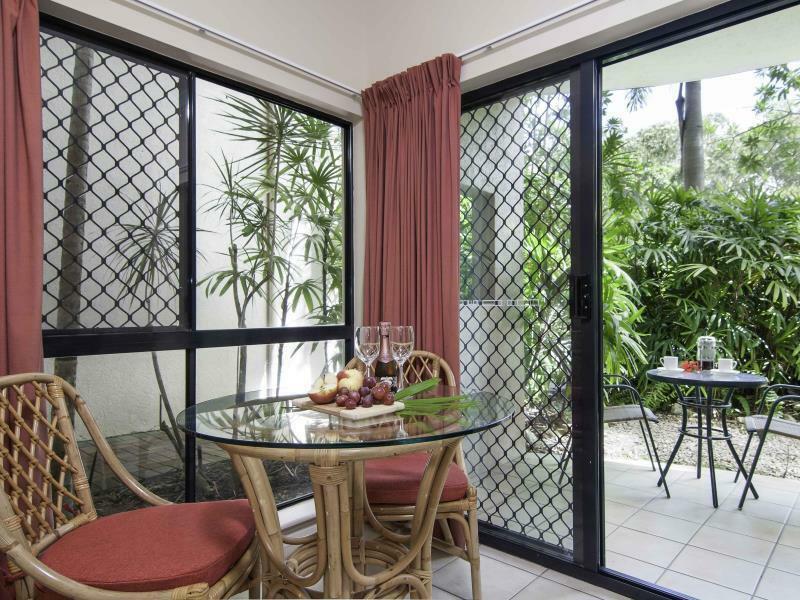 But apart from that, Bay Villas is an excellent place to stay! We have stayed here a few times and always been happy with it. Unfortunately, on this occasion we found the cleanliness of the apartment below standard. It was obvious young children had stayed in the apartment before us and there was food and grubby hand marks over the walls and TV. It was to the point where I went around and cleaned before the rest of the family arrived. Such a shame as this is a nice place to stay.